insignificant, form of commuting with only 0.2% of commuters in Charlotte and 0.6% in Raleigh using bicycles. Despite millions of dollars spent on infrastructure, bicycling in North Carolina has barely grown at all over the last decade. densities far lower than cities with large numbers of bicycle commuters. the population to change its behavior. Building lanes for which there is little demonstrated demand in order to promote a ‘green, healthy lifestyle’ puts government preferences above individual choices. In 2015, the city of Raleigh spent $4.62 million1 on on-road bikeways. Between 2009 and 2015, Raleigh grew its bikeways from 73 miles to 179 miles.2 The city hired a Bicycle and Pedestrian Program Manager, which, when advertised last year, had a salary range of $45,000-$76,000. It is important in any discussion of biking to distinguish between biking as transportation and biking as recreation. There are many people who enjoy biking around their neighborhoods or on greenways and trails as a form of exercise and outdoor fun. 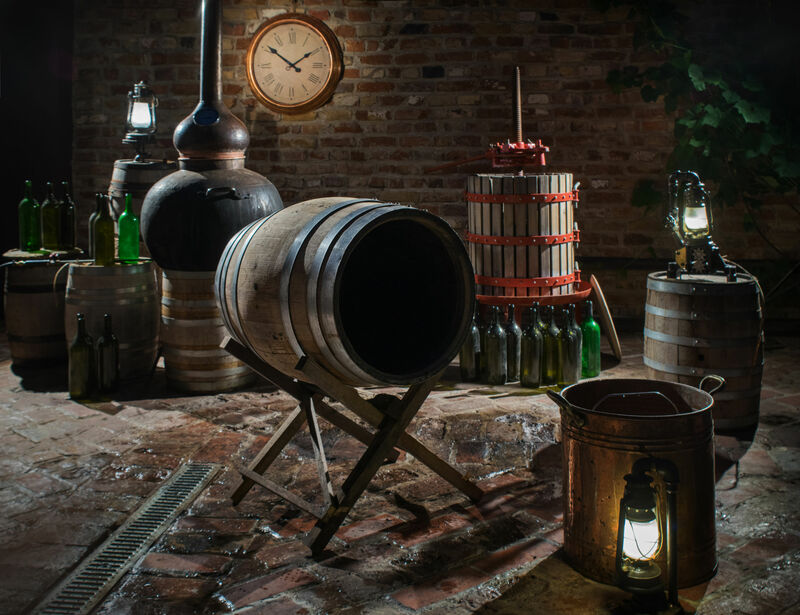 This likely replaces walking, running, and hiking activities. Then there’s biking as transportation. This is people who are biking to work, to run errands, to do shopping or conduct other business, and to move their children around. While both types of biking are valuable, it’s the latter that is most important when considering the investment of taxpayers’ money. Transportation infrastructure that meets the needs of employers, employees, businesses, and customers is crucial for economic growth and increased employment. North Carolina cities don’t fit the profile of easily bikeable cities using these criteria. Their populations are relatively spread out, making biking to work difficult for most workers. Looking just at the 10 cities in the Modes Less Traveled report that have the highest rates of bicycling to work, they have an average population density of around 8,000/square mile. Raleigh’s population density is around 3,000/square mile, and Charlotte’s is around 2,700, explaining the low rates of bicycle commuting in North Carolina. People live farther from where they work, making a bike commute relatively difficult. 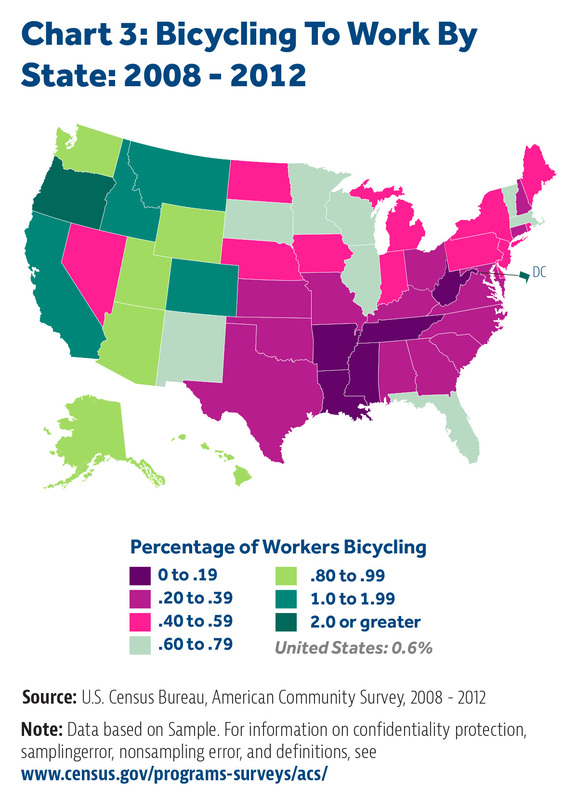 According to Census data, the lowest rates of cycling are in the South (See Chart 3). While there may be many factors that contribute to this fact — geography and density, culture, climate — it is certainly important for policymakers to recognize that biking as a form of transportation is not something that Raleighites and Charlotteans, North Carolinians, or Southerners more generally demand. 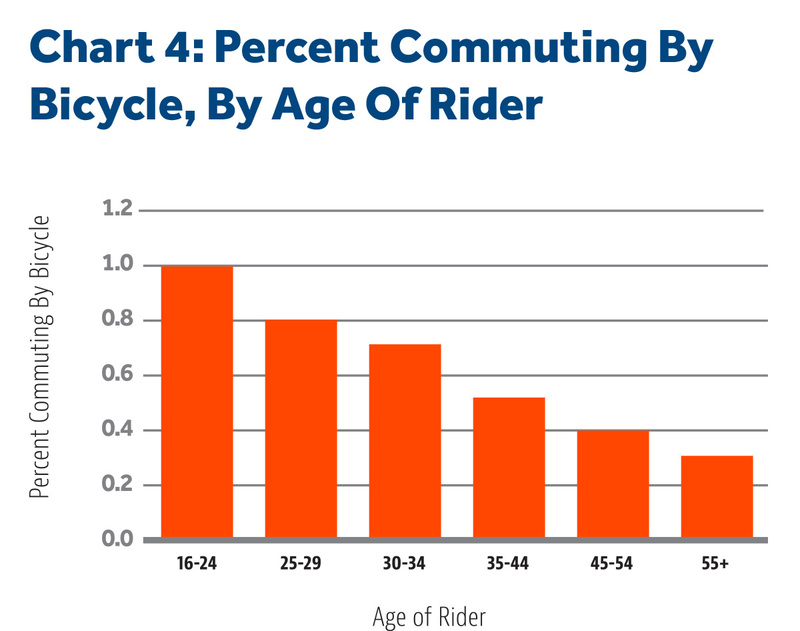 Low rates of bike ridership are not just about provision of bike lanes across the region. Not only are the numbers of people cycling in North Carolina’s largest cities tiny — less than 1% — but any increases in those numbers are so small as to be statistically insignificant in the Census Bureau’s data. Over roughly 10 years, and with millions of dollars in investment, the numbers remain small and are barely growing. Some new, younger workers will enter the cycling group, but many slightly older workers will exit it, opting instead to travel by car. 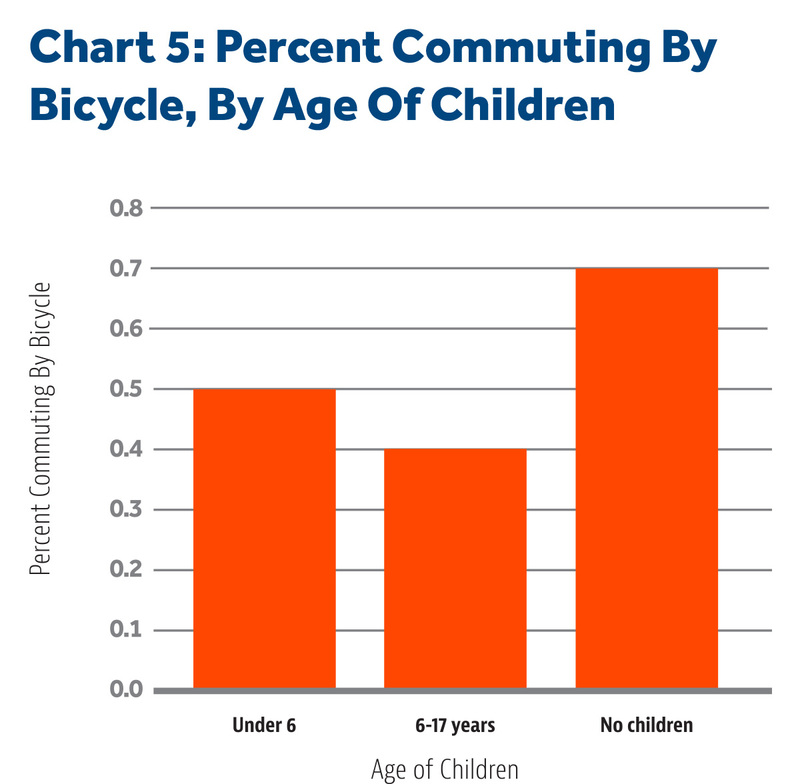 People in homes without children bike at markedly higher rates than do people in households with kids. Second, we know that, as people have children, they tend to move to out of cities and into suburbs with single-family houses and private yards. Certainly not all people do this, but there is a general pattern. Thus, parents tend to live farther from the places where they work, shop, and do other business. 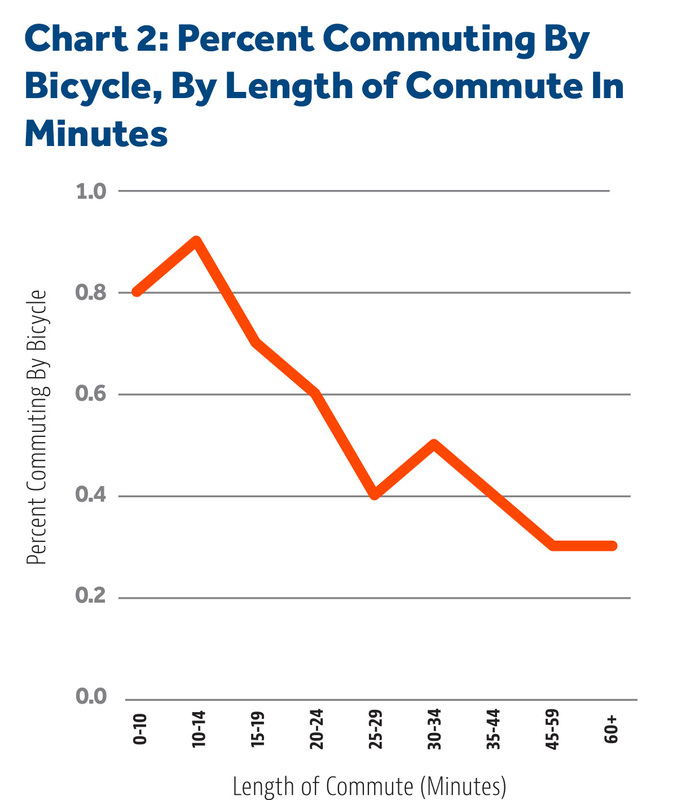 And as indicated previously, longer commutes are less likely to be done by bicycle. Raleigh’s bicycle plan, while only directly affecting Wake County, is useful in revealing the sort of thinking behind spending on bicycle infrastructure across the state. What becomes apparent very quickly when reading the Raleigh bicycle plan, however, is that the low ridership numbers don’t really matter to planners. Of course, they’d like the numbers to be higher, but the language in the plans is a mix of aspiration and moral superiority. There are a number of additional policies and council actions at the local, regional, and state level that highlight and support the importance and benefit of a shift from drive-alone automobile trips to biking trips. There’s even language that seems downright punitive toward motorists. from other sorts of road projects or reduces existing capacity for motorized transportation on roads by converting some portion of that paved space to lanes reserved for bicycle traffic. This sort of approach is evident on streets around Raleigh, among other places, where roads have been changed from two lanes in each direction to one in each direction plus a central turn lane, or where a central turn lane has been lost, all in order to add bike lanes to the existing pavement. Census data show that converting roads by using limited transportation resources to build new bike lanes is a poor use of those resources. Government at all levels — local, state, and federal — should be about meeting the infrastructure needs of the population, not driving that population to change its behavior. Building lanes for which there is little demonstrated demand in order to promote a “green, healthy lifestyle” is to put the preferences of government above the choices of individuals. Leaders at the N.C. 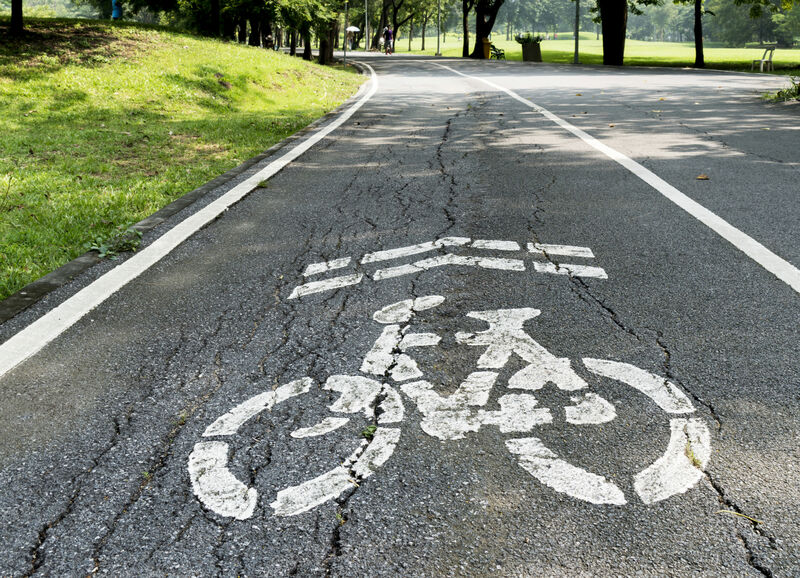 DOT and in North Carolina’s cities should rely on demonstrated widespread demand for bike infrastructure before spending tax dollars on these projects. 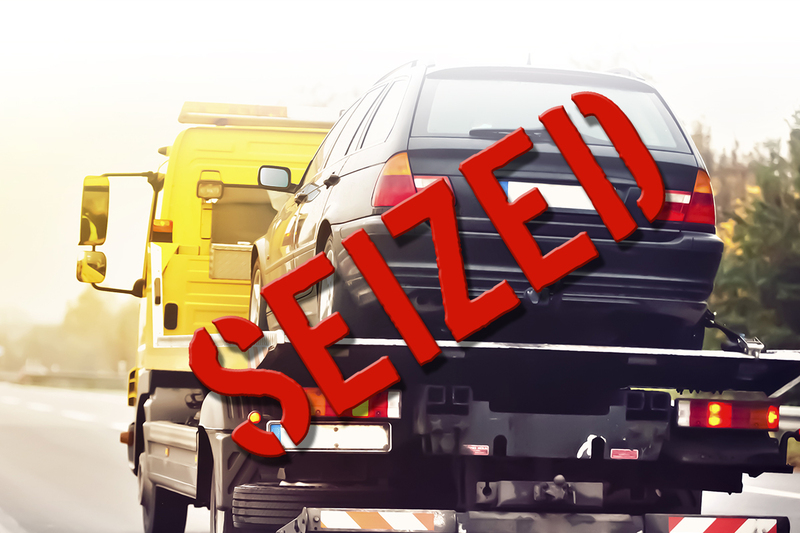 They should weigh that against the negative impact on the vast majority of employees, business owners, and consumers who choose to travel by car. Bike lanes reduce the number of lanes available for cars and parking, increasing congestion and travel times. Money spent on that bicycling infrastructure reduces the money available for improving roads used by the vast majority who travel by car. The needs of that majority should not be ignored to impose the “green, healthy lifestyle” goals of legislators and city councillors.